Greater Latrobe Partners in Education Foundation (GLPIEF) is pleased to welcome returning Foundation board member Heidi Kozar. Kozar was a founding board member of GLPIEF and will serve as an ex-officio representative from the Greater Latrobe School District School Board. Kozar is beginning her 14th year on the GLSD School Board. Kozar holds both a B.S. and M.S. in Public Policy from Carnegie Mellon University. Her other volunteer activities have included service on Westmoreland County Extension and 4-H for over 10 years where she held multiple board officer positions. Kozar was honored to be among the Extension Board members that traveled to Washington, D.C. to lobby federal legislators to maintain funding to Pennsylvania State University and the Department of Agriculture. Outside of her volunteer work, Kozar works as a knitwear designer. Her work has been published in Vogue Knitting, Interview Knits, Knitter Magazine and numerous other books by Sixth and Spring Publishing. Recently, Kozar has been self-publishing her designs and teaching knitting workshops around the country. 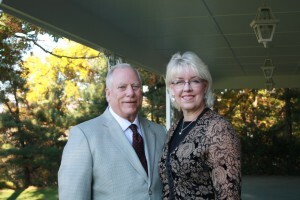 Kozar is a native of Nantucket, MA and has made her home in Unity Township with her husband Richard for over 25 years. They have two grown daughters that are both Greater Latrobe Senior High School graduates. Kozar is joining the volunteer board of directors comprised of parents, alumni, and civic and business leaders committed to effectively governing the Greater Latrobe Partners in Education Foundation. The board includes David Arnold; Bob Demangone; Dana Marcinko; Michael Rossi; Bradley Smith; Dottie Staffen; Lester Sutton; Judith Swigart and Maryann White-Helfferich. The officers of the GLPIEF Board include Jessica Urbanik, president; Julie Jones, vice president; Keith Visconti, treasurer and James Okonak, secretary. GLPIEF’s mission is to ensure the highest level of education innovation supporting GLSD students, faculty and staff with community involvement in a partnership of lifetime learning through philanthropic and volunteer opportunities. To learn more about the GLPIEF please visit www.glpief.org. Greater Latrobe Partners in Education Foundation (GLPIEF) is pleased to welcome new board member Pam Mt. Joy. Pam has been volunteering for GLPIEF since its inception in 2012. Pam Mt. Joy is a graduate of Texas Tech University where she studied elementary education. After college, Mt. Joy worked in corporate marketing, teaching in Spring Independent School District and then took time to be a stay-at-home mother to her son Tyler. In 2003, Pam began to work at Xeray Systems, an oil trading business, as the Office Manager. Her husband Ray had founded the business in 1995 and they worked side-by-side until their retirement in 2013. Pam has been a dedicated volunteer in her native Texas especially in the areas of education. Her experiences included being the Co-President of The Woodlands High School Quarterback Club which is a nonprofit that supplemented the football program and provided scholarships to players. Pam is also a founding and current board member of The Woodlands High School Art Trust which was modeled after the GLSD Art Conservation Trust. Since its inception, The Woodlands High School has purchased 30 paintings for the high school. Pam is joining the volunteer board of directors comprised of parents, alumni, and civic and business leaders committed to effectively governing the Greater Latrobe Partners in Education Foundation. The board includes David B. Arnold; Robert Demangone; Dr. Rhonda Laughlin: Dana L. Marcinko; Michael J. Rossi; Bradley E.Smith, Esq. ; Dorothy M. Staffen; Lester R. Sutton; Judith A. Swigart and Maryann White-Helfferich. The officers of the GLPIEF Board include Jessica S. Urbanik, president; Julie L. Jones vice president; Keith M. Visconti, treasurer and James R. Okonak, secretary. GLPIEF’s mission is to ensure the highest level of education innovation supporting GLSD students, faculty and staff with community involvement in a partnership of lifetime learning through philanthropic and volunteer opportunities. To learn more about the GLPIEF please visit www.glpief.org. We are excited to share with you the first edition of The Orange & Black – a newsletter for alumni, parents and friends of Greater Latrobe School District. The name “Orange & Black” is more than just our school colors – it is a tribute to the name of the first high school publication that served as both a newspaper and yearbook from 1914-1924. In the newsletter you will read about the recent work of Greater Latrobe Partners in Education Foundation but with several features on notable alumni and our donor listing from the 2015-16 Annual Fund. Please take a moment to read and if you are or know any GL alumni living near and far – please let us know. We hope that the spring/summer edition will feature lots of interesting news about alumni. Arnold Palmer’s remarkable and wondrous golf career had its roots in Western Pennsylvania while he was growing up at Latrobe Country Club and competing on the golf team at Latrobe High School. Young Arnie learned early on how to handle stardom as he led the Wildcats to sectional championships and at the same time consecutive WPIAL and PIAA individual championships. He had his first golf club in his hands when he was only three years old. His father, Milfred (Deacon) Palmer, the golf professional and grounds superintendent at Latrobe Country Club, cut down a set of clubs to fit him and showed him how to hold them. He told him: “That’s the right grip. Don’t change it. Hit the ball hard. Go find it and hit it hard again. Don’t let anybody fool with or change your swing.” Obviously, father gave son the right advice. Arnie was breaking 100 when he was just eight years old and got his first tastes of competitive golf when he was 12, playing in junior events around the Greater Pittsburgh area. That and his constant practice at the country club prepared him for his days wearing the orange and black of Latrobe High School. What may have been critical to everything that followed was what happened his freshman year. Besides his golf, like most boys those days, Arnie played football and baseball. Although he wasn’t very big, he was good enough to letter as a halfback and defensive tackle on the junior high football team. Naturally, he went out for football when he began senior high, but the coach, Bill Yates, wouldn’t give him a uniform. Too small, he told him. This was a bitter disappointment for Arnie, but may have been the best thing that could have happened to him—and for Bill Yates, who also was the golf coach. Deacon Palmer was not very sympathetic when Arnie told him about it. In fact, he said: “You shouldn’t be playing football away. If you really want to play golf, stick to that.” In what proved to be a real understatement, in its preview of the 1944 season, The High Post, the student newspaper, labeled Arnie first among golf team newcomers who “show promise.” He immediately became the No. 1 man and in his first high school match shot 71, defeating Bill Danko, Jeannette high’s top player. Over the next four seasons, he led Latrobe to four consecutive sectional championships and deep into the WPIAL playoffs, in one match during his senior year shooting a brilliant 31. Individually, Arnie pulled off a rare feat his last two years of high school. He won the WPIAL and PIAA (State) championship back to back. The 1946 victories earned him his first trip to a national junior tournament and he advanced all the way to the championship match before bowing out. The summer following the 1947 high school double, he won his first of two straight West Penn Junior titles and, even more impressive, the first of five West Penn Amateur championships, the area’s most prestigious non-pro event. At the time, he was the youngest winner ever. With those sparkling credentials, he headed toward his brilliant collegiate career at Wake Forest College and the greater glory that was to come. 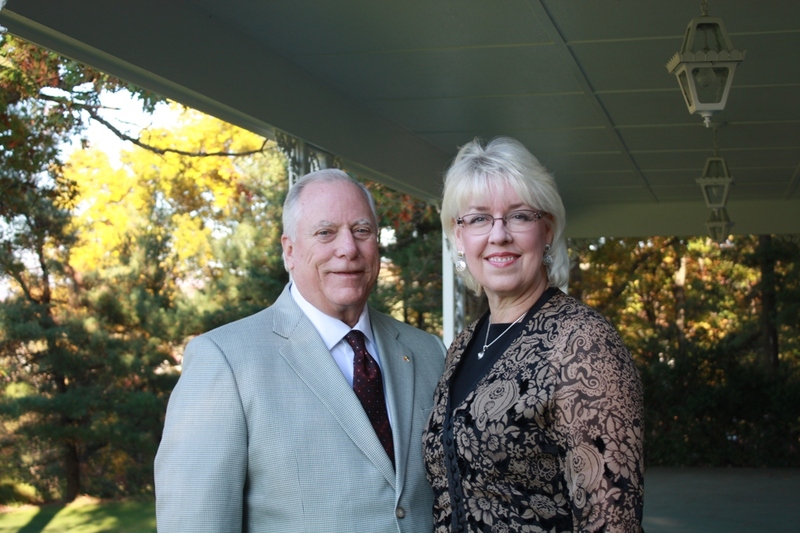 In 2012, Greater Latrobe embarked on a major, comprehensive Capital Campaign under the leadership of Ray (Class of ’63) and Pam Mt. Joy. The Campaign would seek philanthropic support for Academics, Arts and Athletics. The Greater Latrobe Partners in Education Foundation was established to lead the effort. The GLPIEF reached their A+ Campaign goal of $5M from the generosity of over 600 donors. The Pittsburgh Foundation’s Day of Giving program, which in its six years of operation has raised more than $40 million for worthy nonprofits through a combination of individual donations and generous match pooling, has now been forced to suspend operation of today’s event. The decision was made this afternoon after the national online fundraising firm’s technology platform used by 54 participating community foundations across the country had technical problems that severely disrupted the ability of tens of thousands of donors to complete transactions on coordinating organizations’ websites such as our PittsburghGives.org portal. We were on track in the first few hours to raise $1.5 million until the technical issues occurred. To resume that enthusiasm, we are committing to re-schedule another Day of Giving for the region, which includes Butler, Allegheny and Westmoreland counties, with an underlying online donation platform that we trust. And we will provide an additional $100,000 in incentives to the $100,000 already in place for today’s event. We also want to assure all participants who were able to make donations today that they will be honored and apply to the incentive pool that has been in place. While we very much regret having to suspend our participation, we recognize that we need to be able to maintain the high standards of performance and donor experience that we know nonprofits and those they support expect in this annual event. It is for that reason that we are the first among participating foundations to pull out of the event. While we could not repair on our own what happened with the computer operation of Kimbia, the Austin-based online fundraising and crowdfunding firm that provides the online platform for Give Local America and the Day of Giving, we certainly have the ability now to stop a malfunctioning process and work to make it right for our region. We understand the frustration that Pittsburgh area nonprofits and their donors are feeling with this disruption, and we’re sure that the scores of other organizations across the country coordinating through the fundraising firm are feeling it as well. We look forward to re-scheduling this event as soon as possible to provide our region with a charitable online donation experience that is worthy of the record-setting generous spirit of all the people and organizations that participate in this event.